Nicaraguan strongman General Anastasio Somoza is making room for the modern jets sent down by his Cold War ally, the United States. Will Martin, a 34-year-old civilian pilot, has just suffered the loss of his family business in Chicago and is looking to make a fresh start. 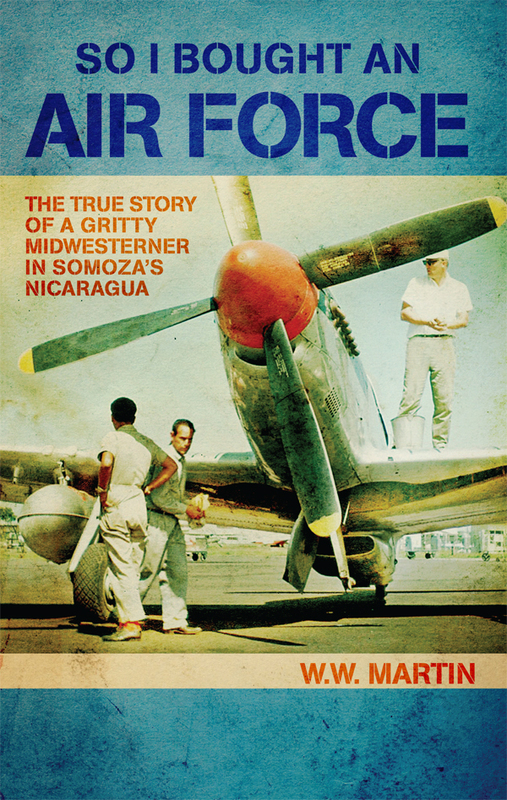 So I Bought An Air Force is the wild but true tale of how Martin buys the Nicaraguan Air Force’s fleet of P-51 Mustangs, F-47 Thunderbolts, and C-45 Expeditors and his struggles to get his planes back up to the U.S. With stunning color photographs from the author’s personal archive, So I Bought An Air Force gives the reader a vivid look at the rough-and-tumble world of 1960s Latin America from the cockpit of some of the hottest American aircraft ever built. WILL MARTIN holds a commercial pilot certificate and multi-engine and instrument ratings. Flying “El Gato,” the P-51 Mustang he restored, he has performed in many air shows including Oshkosh, the Chicago Air and Water, the Commemorative Air Force, and the Illinois Antique Airplane Association B-17 Reunion. He founded the Squadron Four Warbird chapter of the Experimental Aircraft Association and has been a featured speaker for numerous aviation and business groups. Martin has experience in a wide range of aircraft, having piloted more than forty different types of planes. Those he has owned include a Beechcraft C-45, D-18, T34B, Bonanza, and Queen Air; a North American P-51D, P-51TF, T-28A and a Navion; a Piper Apache; a Cessna 401 and 402; a Douglas B-26; and a Republic P-47. He and his wife Patricia live in a suburb of Chicago.